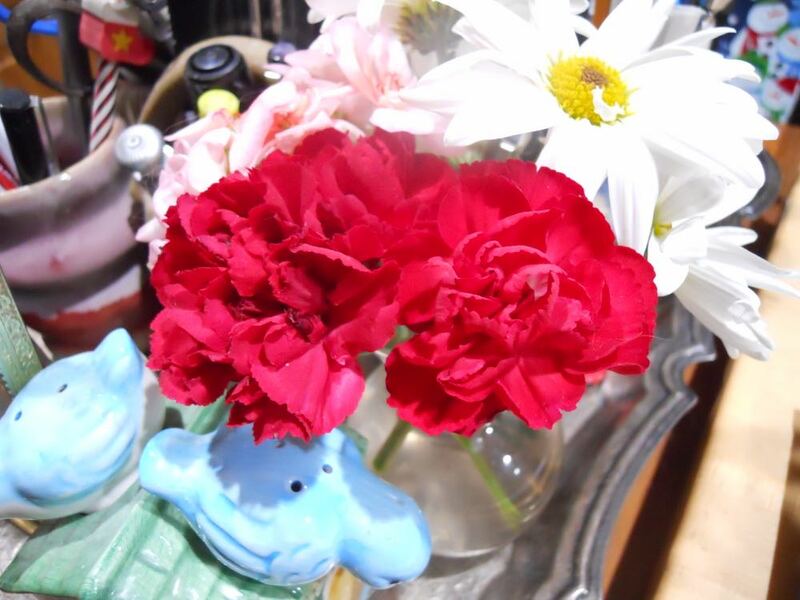 Red carnations and Peruvian lilies make a lovely, and long-lasting, flower arrangement. Hi Pepper, funny you should ask, I just composted a gift bouquet from Christmas that had red carnations and pink Peruvian lilies (in top photo.) Both those flowers are usually available at most florists and grocery store flower corners because they are long-lasting. The Peruvian lilies are the longest lasting flowers I know, if you trim off the stems every week and change the water, they can last 6 weeks or longer. 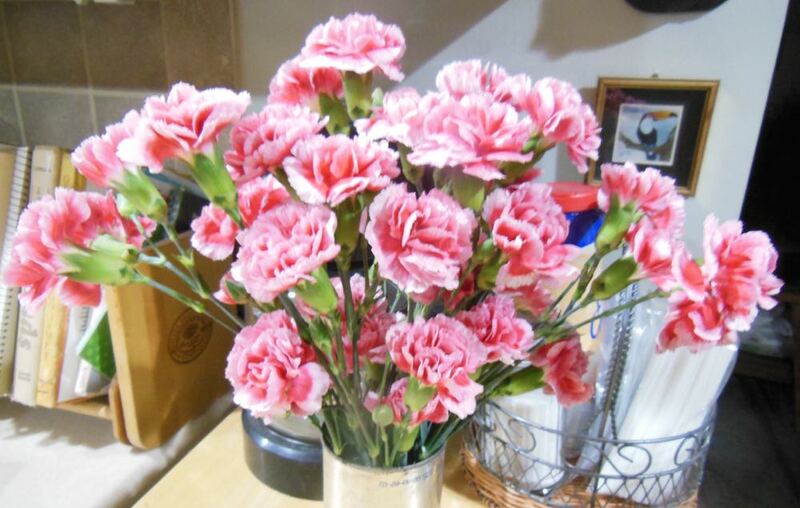 Pink carnations also look nice all by themselves so don't pass them up if you see them on sale. The last long-lasting flower category is the chrysanthemum. This versatile flower family is now grown in a variety of shapes and sizes, including this simple white daisy. The white daisies in this flower arrangement are a long-lasting chrysanthemum. Regardless of what flowers you buy, trim off the bottom of the flower stalks to make sure it can absorb water. Use those little floral packs they include with the flower bouquet, it will help keep the flowers longer. If you don't get a floral preservative pack, add a clear carbonated beverage in the water, a few splashes will do. Change the water every couple of days or when it becomes cloudy. Some flowers will darken the water faster at first so I check every other day or so. Enjoy! What Santa Dolls Do You Still Have?